Last week word filtered out that Street Fighter V was back in action for beta testers, and after a few false starts I was able to jump in to give it a whirl! First impressions are good – the UI is nice a clean, character selection is slick and even things like loading screens are looking good. The game’s running at 1080p so looks very sharp, and the framerate during testing looked good with no noticeable drops below 60fps. Character models are deceptively a step-up from Ultra Street Fighter 4 with significantly more detail and improved animation. The voices in the beta were all in Japanese thankfully, though I imagine there’ll be the option for English dialogue in the final version. 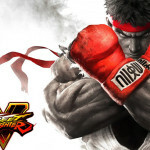 The beta has a limited roster containing Birdie and a revamped Nash (Charlie) from Street Fighter Zero/Alpha alongside mainstays Ryu, Chun Li, Cammy and M. Bison. My go-to character is normally Ken, so I’ve spent most of my time thus far with Ryu. Where SF4 was a mixture of evolution and revolution, SFV is definitely in the former’s camp. The focus system is gone and in its place are some interesting tweaks. The Focus Attack and Ultra Combo mechanics are out, but EX-specials and super arts remain. The Variable Gauge system is in to add depth to the fighting, bringing back Alpha Counters from Street Fighter Zero and unique moves to each character that uses up their V-Gauge meter. All this being said I deliberately went into SFV blind to get a feel for the mechanics and explore different techniques. I’m far from an accomplished player these days having spent more time on Capcom and SNK fighters in the 90s and early 00s than SF4, but to the game’s credit I was able to get to grips with a lot of the fundamentals during my time so far. The beta sets you up in the Training Room stage where you select your fighter of choice along with a CPU dummy opponent. At any time your training battle will get interrupted with an online match request like SF4 (and presented like every other Street Fighter game going back to the CPS-I entries, which is a nice touch) and the character you’re training with goes into battle. I only played against local Australians so there wasn’t a huge number of challengers, but play was surprisingly tight despite my terrible internet connection and was definitely an improvement over its predecessor. The game certainly feels like SF4, but refined and a bit more forgiving which aligns with the changes made to frame buffering for combos and specials. It certainly isn’t anywhere near Street Fighter Zero 3 which significantly loosened up the combo engine compared to its predecessors, but the change is subtle and effective. The PS4 pad was surprisingly capable too – I’m either a Saturn pad or fighting stick person when it comes to fighting games, but Sony deserve credit for their d-pad as it held up well. Movement is controlled, animation and lighting make things a bit more dynamic, and I feel like there’s more depth in here than what I imagined. I’m particularly keen to learn a bit more on using the V-Gauge functions, especially as they differ for each character. Speaking of which, the current roster, while restrained, offered some interesting insights into the game’s direction. Ryu plays like Ryu, so no surprises there, but I like how his V-Gauge techniques brought in parry mechanics sorely missing since SF3. Chun Li’s specials threw me off at first since her inputs have altered, with Hundred-Foot Kicks now executed by quarter-circle motions (sensible) and her Spinning Bird Kick feels a bit more sluggish by default, though it makes for an excellent EX move if you’re in close and are chaining it into a bigger combo. I had trouble getting to grips with Nash as he’s no longer a re-skinned Guile and I haven’t spent much time with M. Bison or Birdie. I was never a good Cammy player and had fun with some of her anti-air techniques, but ultimately tanked it. My only criticism is with the amount of unnecessary bounce added to Chun Li’s assets, especially in the character select screen. While I’m no prude, it seems a little unnecessary with how this has been handled and I’d prefer they tone it as it closer to release. Cammy didn’t stand out in the same way, and I’m curious where R. Mika is going to slot into things given her outfit, but given it’s a tribute to the world of Japanese women wrestling, it seems playful in its excess from the trailers to date. Capcom’s have acknowledged the issue with Chun Li’s fan service appearance and apparently it’s just a bug. If so I’ll be looking forward to seeing it resolved in a future update. 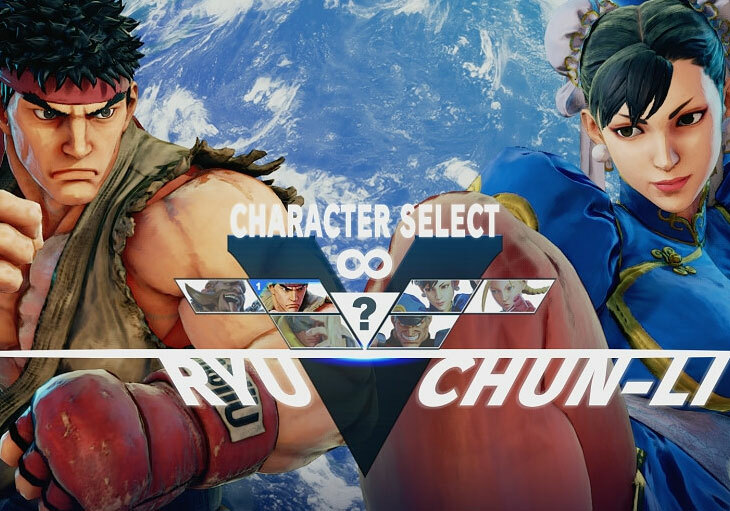 So – Street Fighter V Beta is shaping up nicely, and if this is an indication of the end-game, I’m very excited. All we need is more characters and stages, along with some interesting gameplay modes (story modes with proper animated sequences like in the original SF4 would be very welcome) and support for 3rd party stuff like my Raphnet Saturn pad adapter. In the meantime I’ll keep playing like a scrub on the beta!